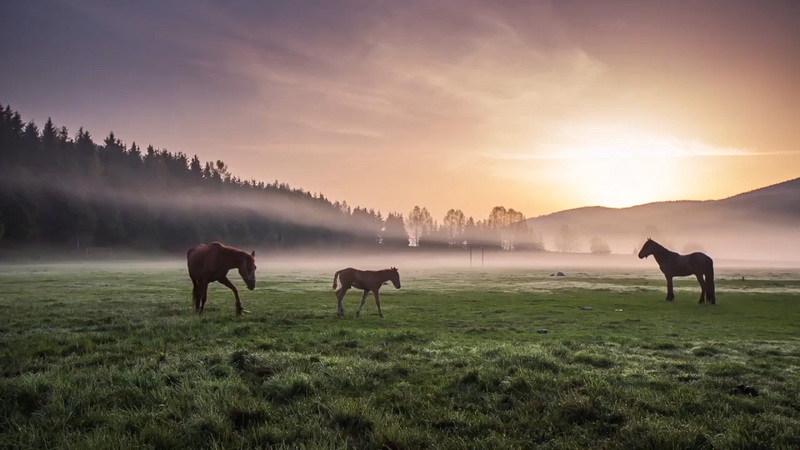 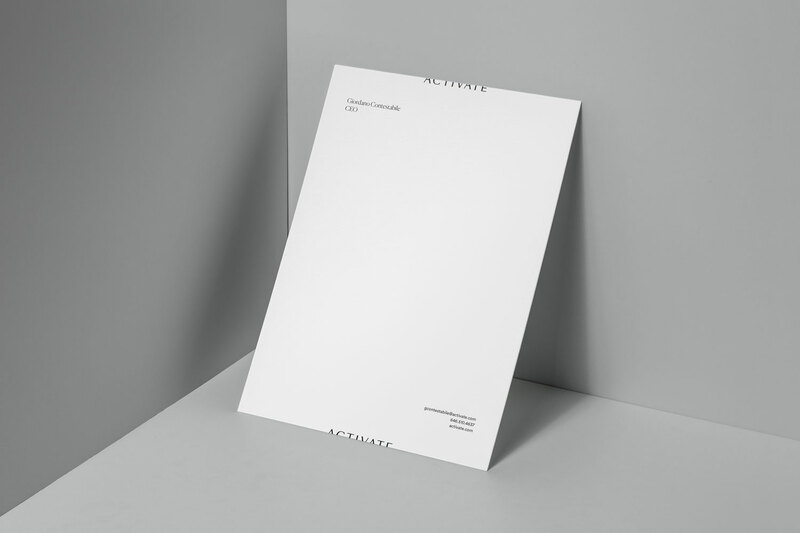 Branding the leader in influencer marketing. 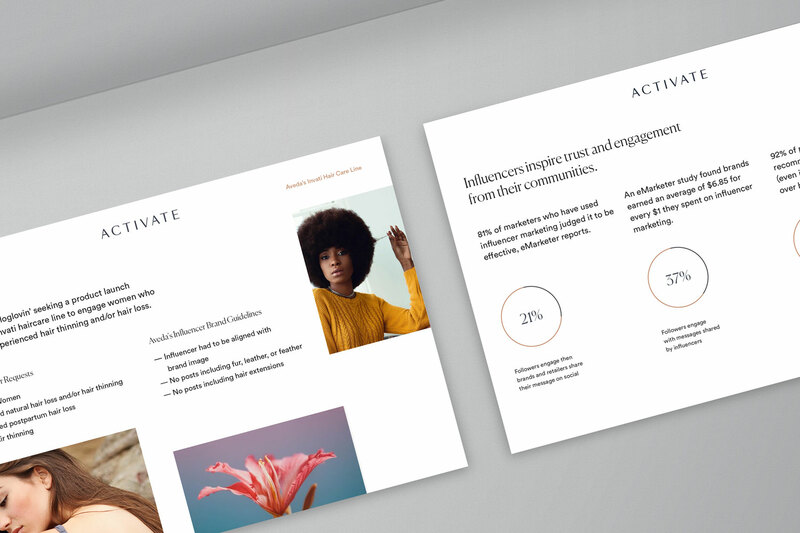 Activate, powered by Bloglovin’, is the leader in influencer marketing. 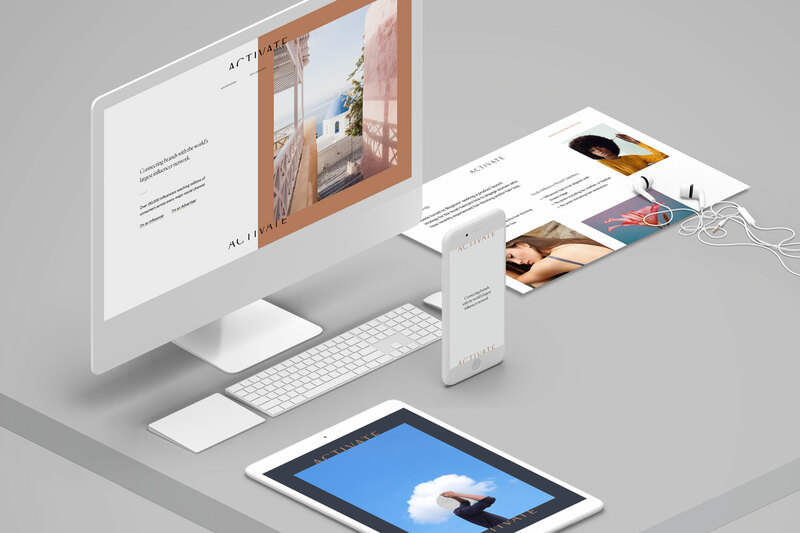 The brand is differentiated by a combination of scalable technology, extensive data, and real relationships with influencers. 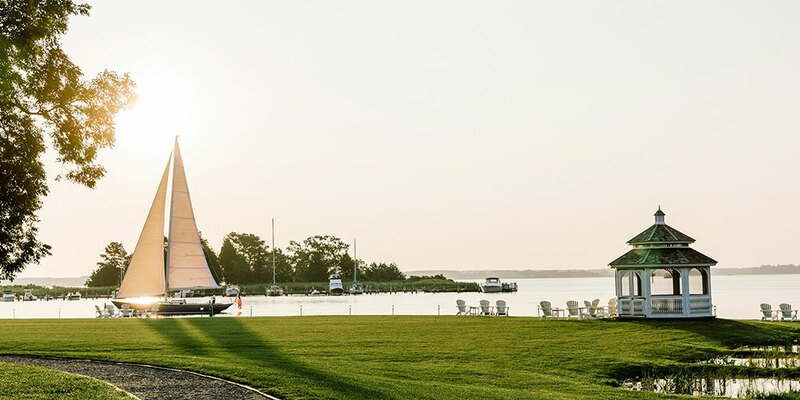 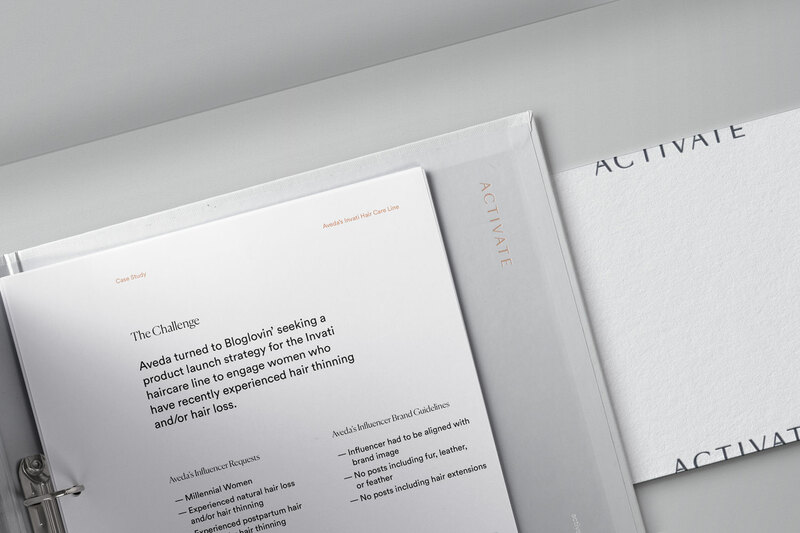 They came to us seeking a brand identity that would position Activate accurately for all markets they serve – brands, agencies, and influencers – while standing apart from all other influencer marketing agencies. 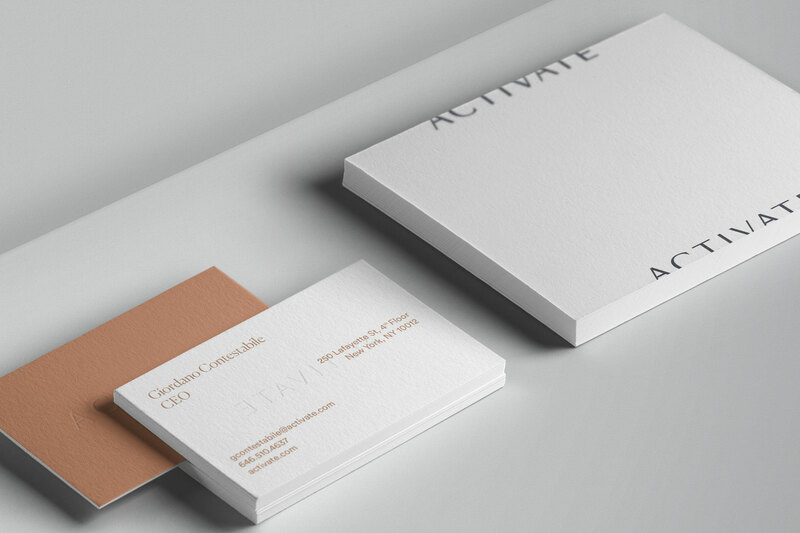 We developed the Activate brand identity and designed key pieces of collateral. 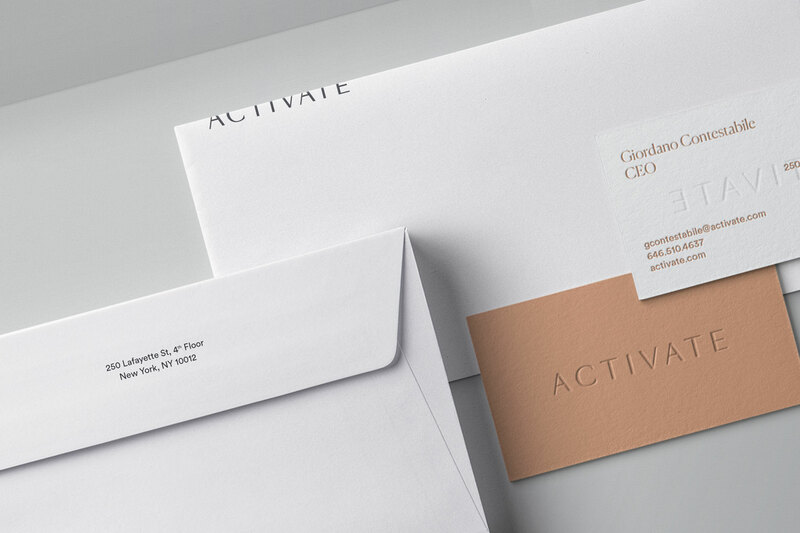 The branding is modern yet polished enough for Activate’s current (and future) CPG clients. 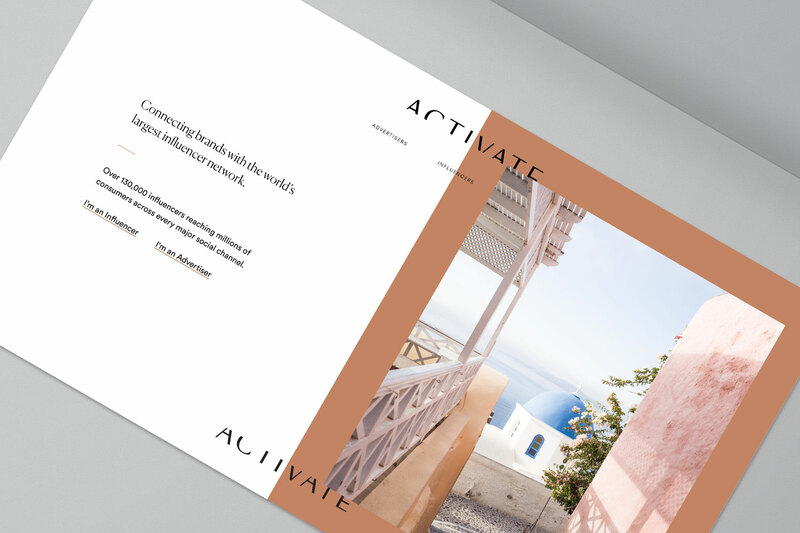 Style guidelines for print, digital presentations, social media, and imagery ensure that the Activate team can apply branding across all touchpoints in a self-sufficient manner.